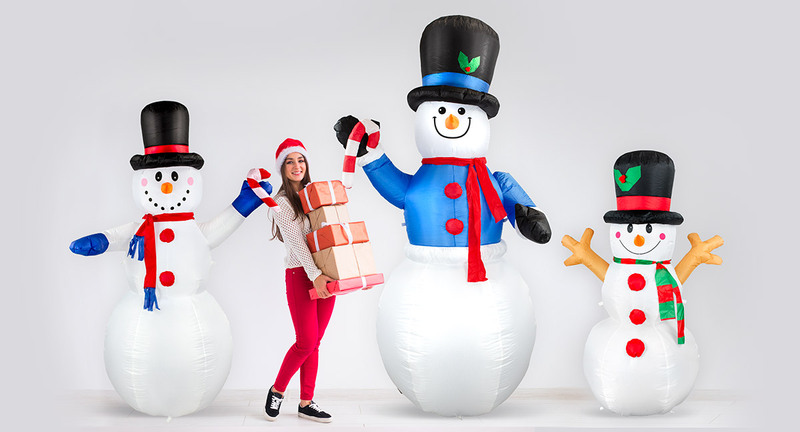 This 6' Toy Soldier with Candy Cane Light Up Christmas Inflatable By Comin™ makes an eye-catching outdoor lawn decoration. It's simply the perfect combination between simplicity and bold, with the two complementing each other perfectly. Added on is the wear-proof design, which improves the ability to last. This inflatable Christmas toy soldier is on full patrol. With a candy cane for a baton, he seems more amiable than threatening. Of course, all he's guarding is the key to holiday cheer. Standing at six feet, he is perfect to place near the front door to greet guests. But even at such a height, he is easy to store compactly, as he inflates and deflates within minutes. All he needs is a family to protect with his Christmas cheer.